When you seek care at our office, you are assured that Dr. Hutchens and his staff utilize the latest in technology to enhance the quality and fit for your dental care. Dentistry is micro-surgery. We use magnification loops that are similar to the ones a jeweler uses to determine diamond clarity. 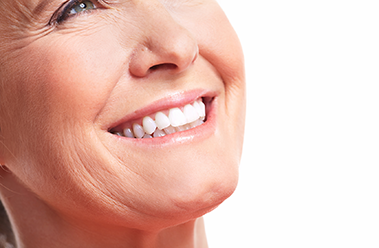 This enables us to create dental restorations with incredibly precise fit and finish. You just can’t fulfill that level of care with the naked eye. Dr. Hutchens chooses carefully which and when radiographs are taken. There are many guidelines that we follow. Radiographs allow us to see everything we cannot see with our own eyes. Radiographs enable us to detect cavities in between your teeth, determine bone level, and analyze the health of your bone. We can also examine the roots and nerves of teeth, diagnose lesions such as cysts or tumors, as well as assess damage when trauma occurs. Dental radiographs are invaluable aids in diagnosing, treating, and maintaining dental health. Exposure time for dental radiographs is extremely minimal.